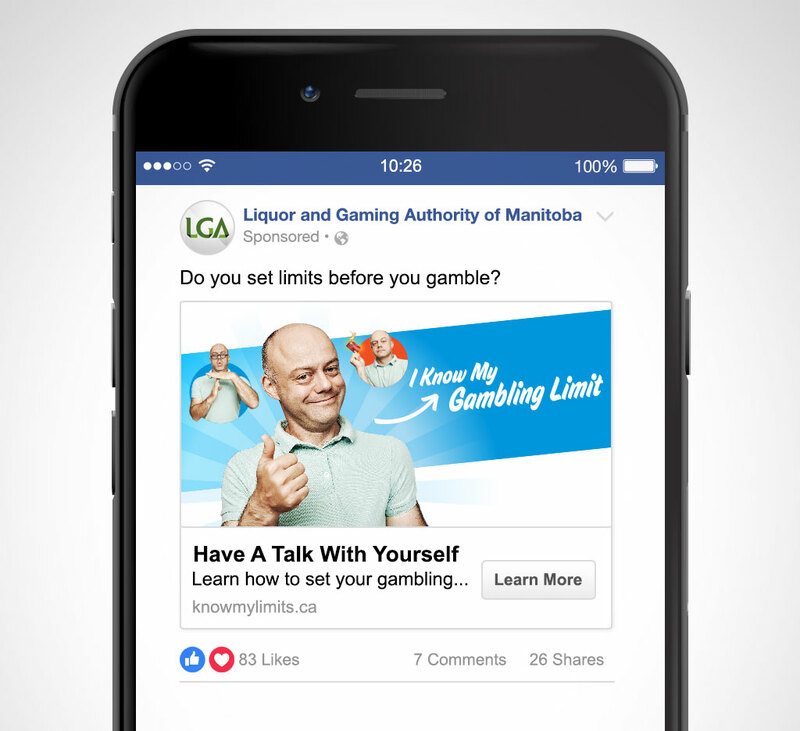 The LGA develops and runs various campaigns as part of its mandate to educate Manitobans about responsible consumption of liquor and responsible participation in gambling. 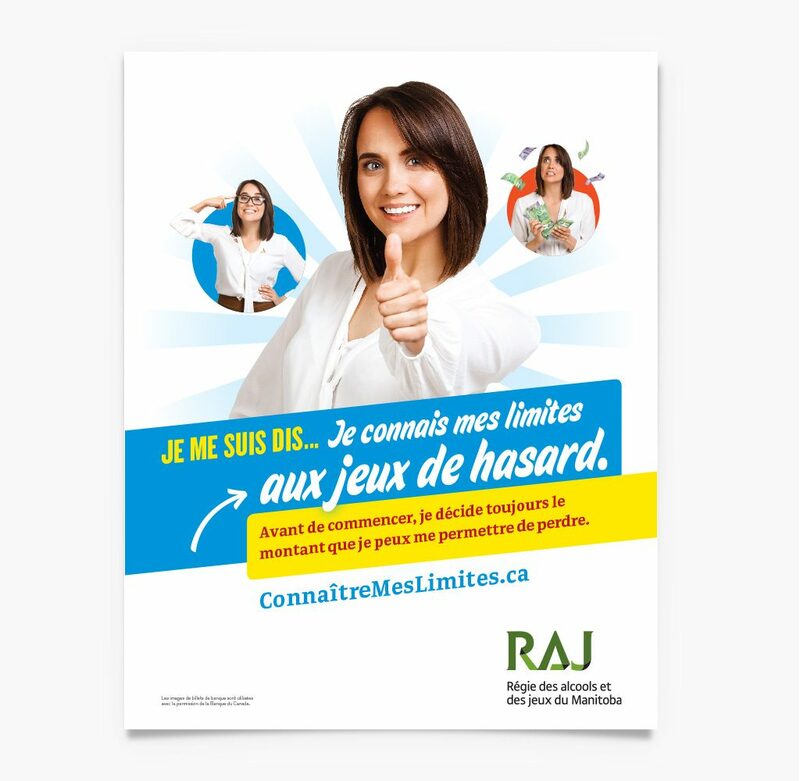 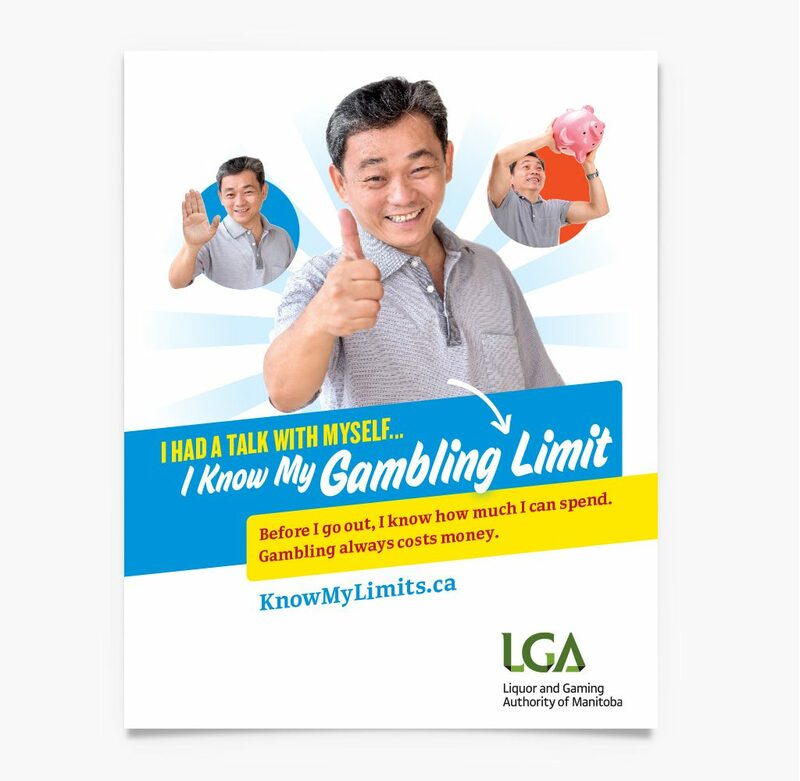 The LGA asked us to help them develop a new, bilingual Know My Limits campaign, to remind Manitobans to set limits before participating in gambling activities. 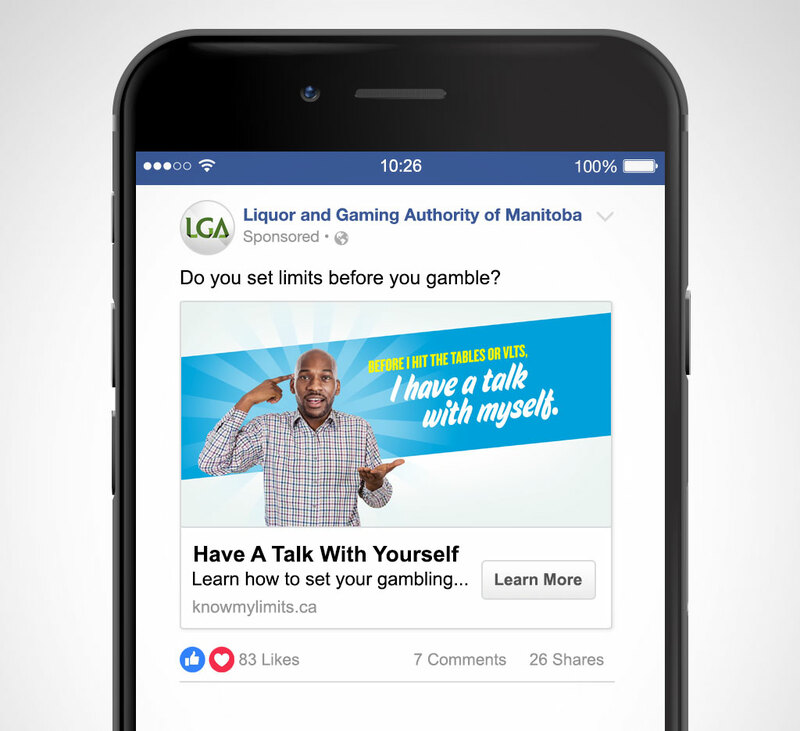 In this role, we provided a creative concept and tag line for the campaign, and developed a series of ads for traditional and social media vehicles.